Round 6: Final quarter flurry Watch all the final term goals of the Round 6 win over Collingwood. Richmond captain Trent Cotchin was at his inspirational best against Collingwood at the MCG last Sunday, and was duly rewarded with maximum votes in the AFL Coaches’ Association Player of the Year voting for Round 6. 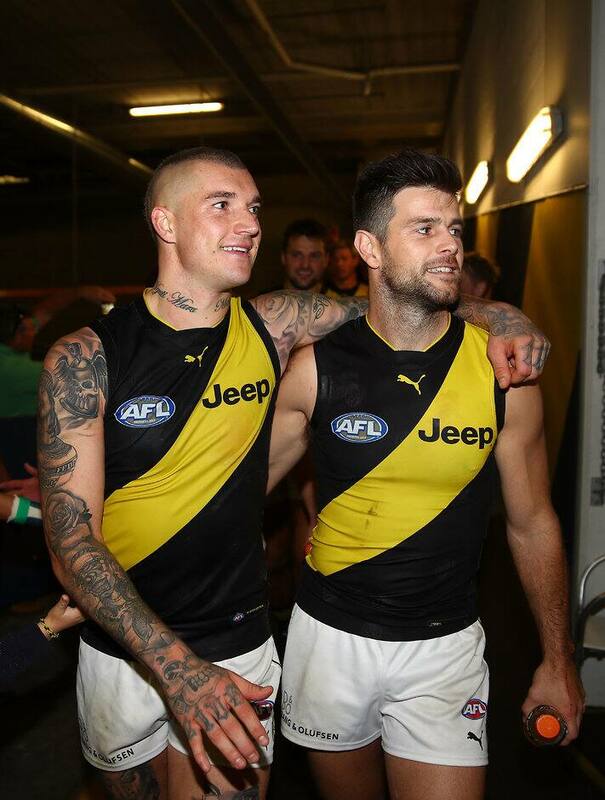 Cotchin, who had an equal team-high 29 disposals, including a game-high 18 contested possessions, five inside-50s, four clearances, nine intercepts, five score involvements and 405 metres gained in the Tigers’ 43-point win, received 10 votes from rival coaches Damien Hardwick (Richmond) and Nathan Buckley (Collingwood). The 2017 winner of the prestigious AFLCA Player of the Year award, outstanding Tiger midfielder Dustin Martin, picked up five votes for another top-class display – an equal team-high 29 disposals, 14 contested possessions, game-high 10 inside-50s, game-high 10 clearances and game-high 605 metres gained. Robust Richmond ruckman Toby Nankervis’s excellent performance up against quality Magpie opponent Brodie Grundy earned him five votes. Nankervis finished with an equal team-high 29 disposals, including 14 contested possessions, a team-high 10 marks, seven inside-50s and four clearances. Skilful, speedy small Tiger defender Jayden Short was given one vote for his impressive showing – 20 disposals, an equal game-high eight rebound-50s, eight intercepts, eight score involvements and 508 metres gained. Full voting details for the Round 6 Richmond v Collingwood match are . . .